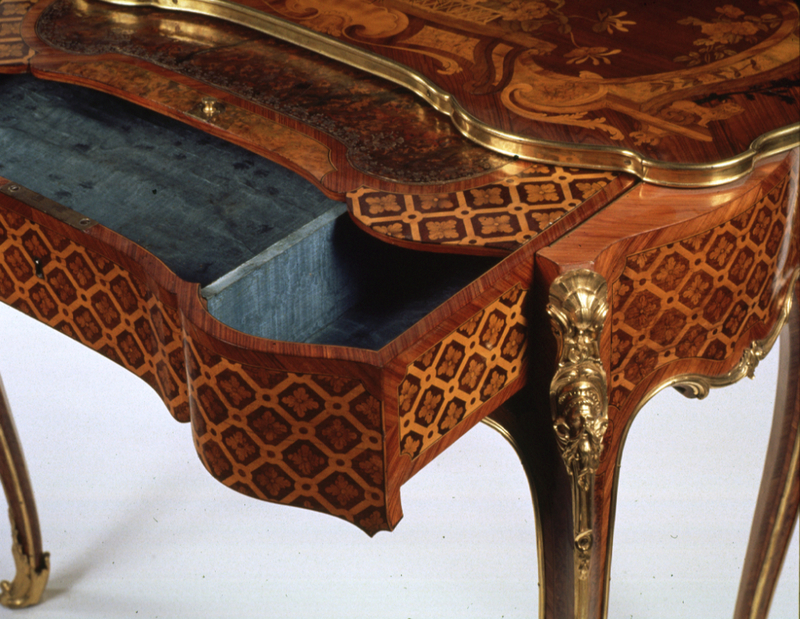 The underside of the table on the rear rail is stamped “J.F.OEBEN” twice. The underside of the central rail is inscribed with “No.4” in ink. Also beneath the table is a label printed “Mrs. John D. Rockefeller, Jr. / 10 West Fifty-fourth Street, New York." A label inside the drawer in the front right compartment is inked, “C.6478 / J.D.R Jnr." 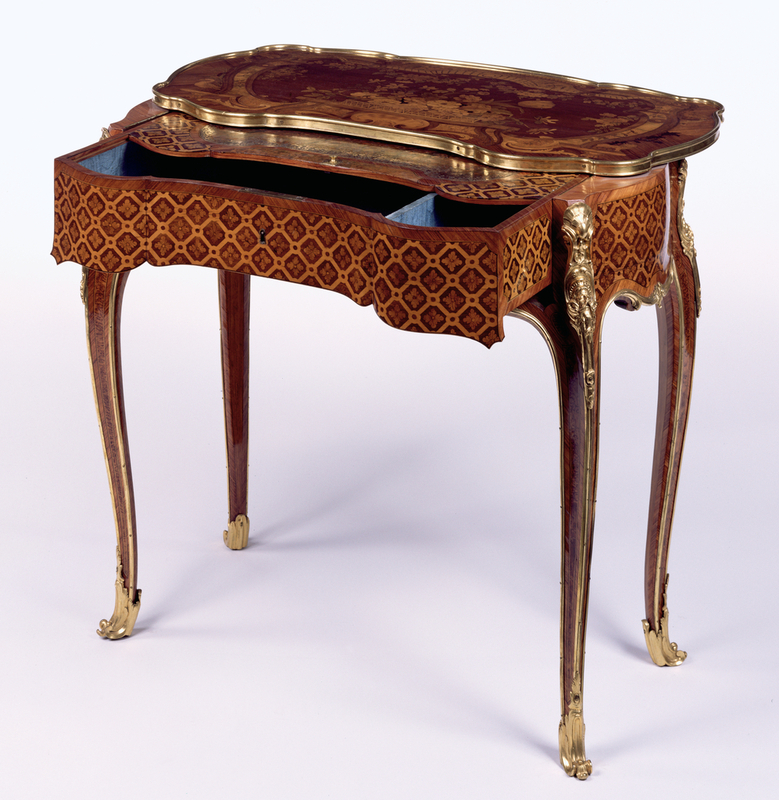 When unlocked, the top of this small table may be slid back, revealing a drawer covered with a sliding lid veneered with marquetry. 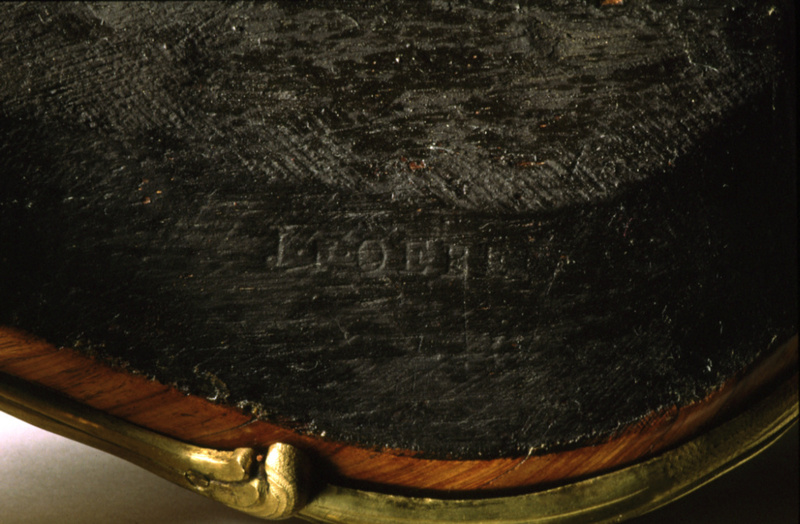 By pressing a button, the sliding lid releases, showing silk-lined compartments that may once have held writing materials and various pots for powder, rouge, and beauty patches. 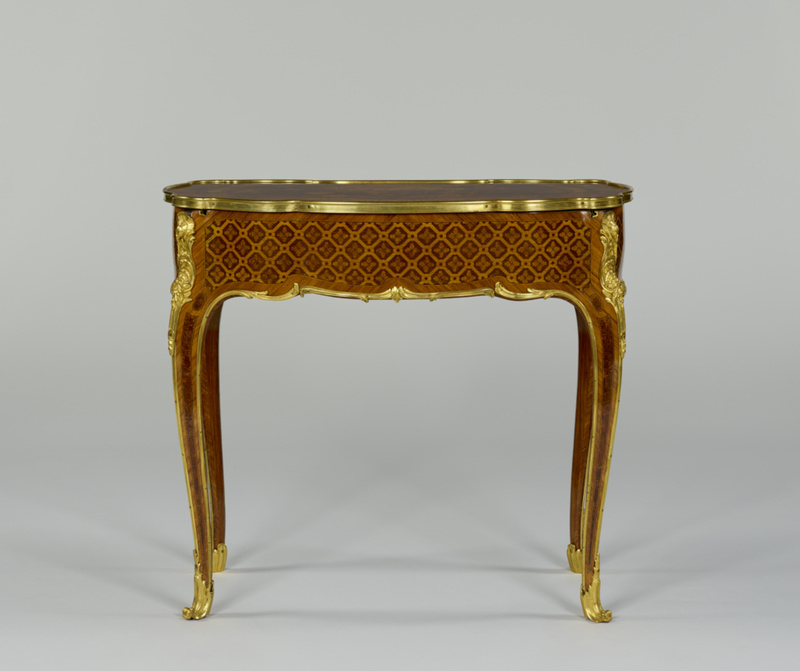 This table would probably have been placed in the bedroom, where it would serve for both dressing and writing. 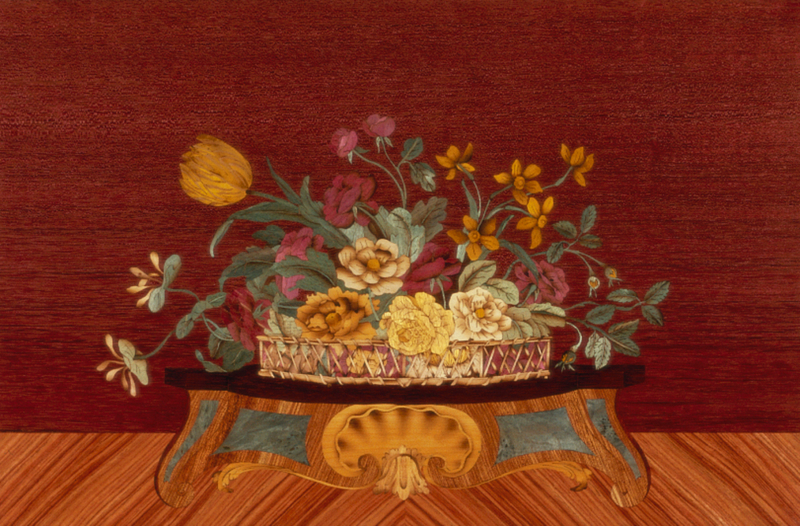 The fine floral marquetry on the top of the table is characteristic of the work of Jean-François Oeben, a royal ébéniste. The naturalistically arranged bouquet represented on the top surface contains various flowers including roses, tulips, and daffodils. A garland of blossoms appears to hang from a grill above. At the four corners, a lion, a swan, a dove, and a salamander represent the four elements: Earth, Water, Air, and Fire. 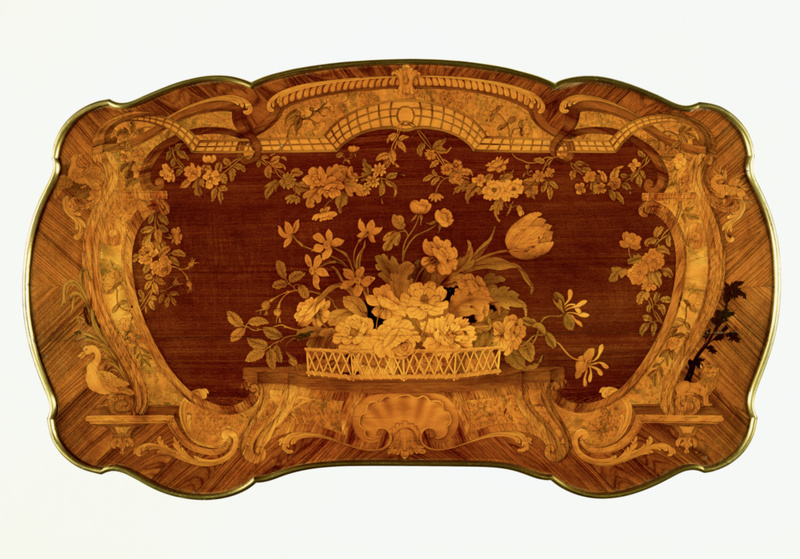 The trellis marquetry around the sides of the table and floral marquetry on top are formed from small pieces of wood dyed in various shades, including blue and green, all of which are now almost completely faded. John George Stewart Murray, Marquess of Tullibardine, eighth duke of Atholl, Scottish, 1871 - 1942 (Scotland), sold or by gift to Mary Gavin Baillie-Hamilton, before 1912. Source: Collection of the Estate of the Late Judge Elbert H Gary, American Art Association, April 21, 1928, lot 272; GRI, Photo Archive, Seligmann Collection, 89.P.7 Box 15. The identity of the Marquess is based on the fact that he only had this title until 1917. Mary Gavin Baillie-Hamilton (Hon. Mrs. Robert Baillie-Hamilton), Scottish, 1832 - 1912, by gift or inheritance to her sister Magdalen Bateson Harvey, before 1912. Source: Collection of the Estate of the Late Judge Elbert H Gary, American Art Association, April 21, 1928, lot 272: "Collection of Mrs. Mary Gavin Baillie Hamilton;" GRI, Photo Archive, Seligmann Collection, 89.P.7 Box 15. Source: Collection of the Estate of the Late Judge Elbert H Gary, American Art Association, April 21, 1928, lot 272: "Collection of Lady Harvey, London;" GRI, Photo Archive, Seligmann Collection, 89.P.7 Box 15. Lewis & Simmons (180 New Bond Street, London, England; 16 rue de la Paix, Paris, France; and 605 Fifth Avenue, New York, New York, United States), sold to Elbert H. Gary. Source: Collection of the Estate of the Late Judge Elbert H. Gary, American Art Association, April 21, 1928, lot 272: "From Lewis and Simmons, Paris." Elbert H. Gary, American, 1846 - 1927 (New York, New York), upon his death, held in trust by the estate. Source: Ronald Freyberger, “Great Auctions of the Past. The Judge Elbert H. Gary Sale.” Auction 2, no. 10 (June 1969), p. 10-13. Duveen Brothers, Inc. (New York, New York), sold to John D. Rockefeller, 1928. Source: Collector's files: Gary, E. H., 2, ca. 1927-1936, Duveen Brothers Records, GRI, 960015, box 455, folder 4, and Collector's files: Rockefeller, J.D., Jr., 5, ca. 1926-1929, box 505, folder 2; Duveen Brothers Stock Documentation, GRI, 2007.D.1, box 516. John D. Rockefeller, Jr., American, 1874 - 1960 (New York, New York), by inheritance to his wife, Martha Baird Rockefeller, 1960. Source: Collectors' files: Gary, E. H., 2, ca. 1927-1936, Duveen Brothers Records, GRI, 960015, box 455, folder 4; Collectors' files: Rockefeller, J.D., Jr., 5, ca. 1926-1929, box 505, folder 2. The J. Paul Getty Collection, exh. cat. (Minneapolis: Minneapolis Institute of Arts, 1972), unpaginated, no. 56, ill. 61. Wilson, Gillian. 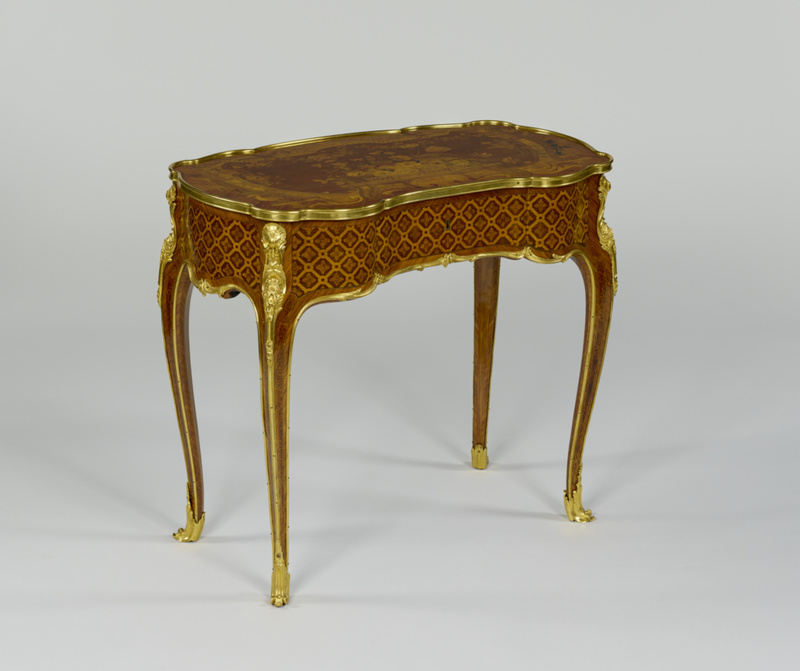 "The J. Paul Getty Museum: 6ème partie: Les Meubles Baroques." Connaissance des Arts 279 (May 1975), p. 111, ill.
Fredericksen, Burton B., ed. The J. Paul Getty Museum: Greek and Roman Antiquities, Western European Paintings, French Decorative Arts of the Eighteenth Century (Malibu: J. Paul Getty Museum, 1975), pp. 142, 162, ill. The J. Paul Getty Museum Handbook of the Collections. 1st ed. (Malibu: J. Paul Getty Museum, 1986), p. 166. Paredes, Liana. "Mueble Frances en el Museo Getty." Antiquaria 4, no. 38 (1987), p. 26, ill.
Kjellberg, Pierre. Le Mobilier français du XVIIIe siècle: Dictionnaire des ébénistes et des menuisiers (Paris: Éditions de l'Amateur, 1989), p. 619. Pradère, Alexandre. 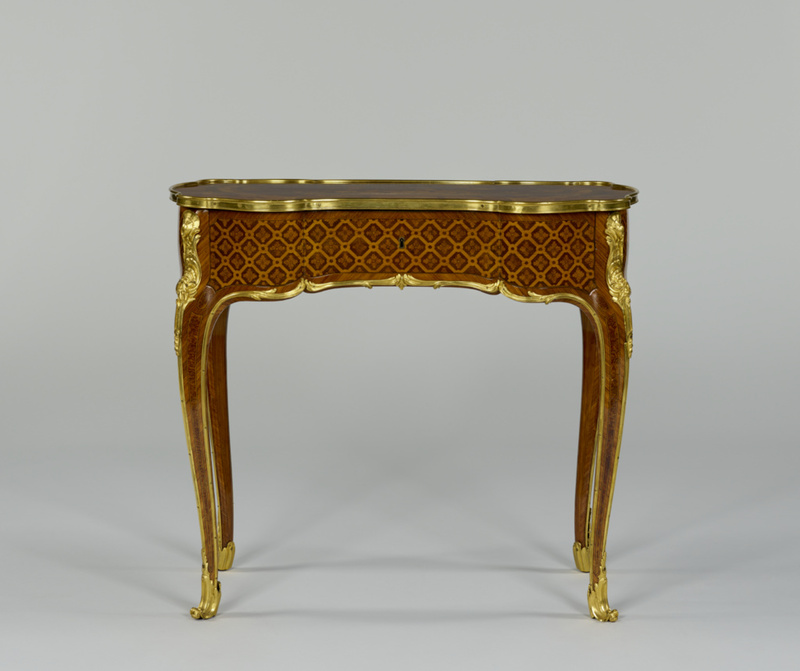 French Furniture Makers: The Art of the Ébéniste from Louis XIV to the Revolution (Malibu: J. Paul Getty Museum, 1989), p. 255, fig. 264. Pradère, Alexandre. Les ébénistes français de Louis XIV à la Révolution (Paris: Chêne, 1989), p. 255, fig. 264. The J. Paul Getty Museum Handbook of the Collections. 3rd ed. (Malibu: J. Paul Getty Museum, 1991), p. 182. Bremer-David, Charissa, et al. Decorative Arts: An Illustrated Summary Catalogue of the Collections of the J. Paul Getty Museum (Malibu: J. Paul Getty Museum, 1993), p. 52, no. 67. Godla, Joseph, and Gordon Hanlon. 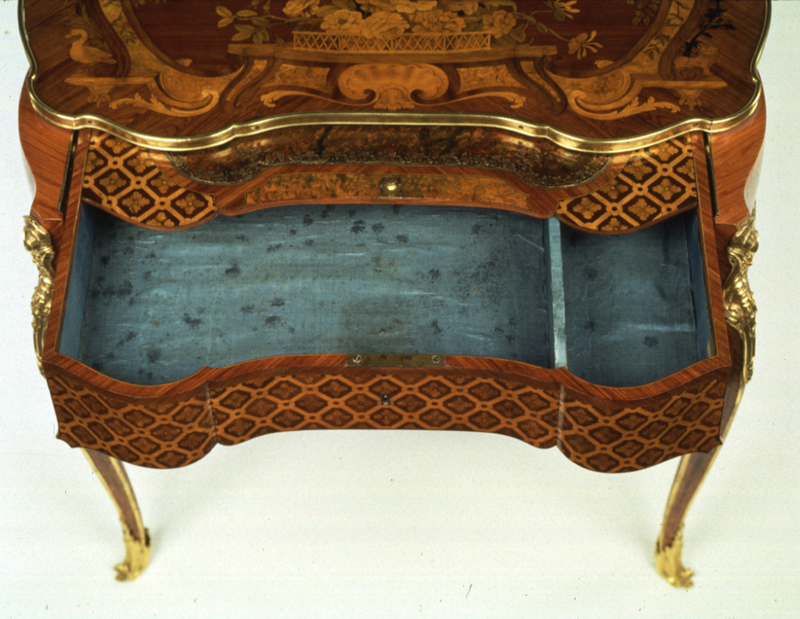 "Some Applications of Adobe Photoshop for the Documentation of Furniture Conservation." Journal of the American Institute for Conservation 34, no. 3 (Fall/Winter 1995), p. 169, fig. 12. Auslander, Leora. Taste and Power: Furnishing Modern France (Berkeley: University of California Press, 1996), p. 55, fig. 5. Ramond, Pierre. Chefs-d'oeuvre des marqueteurs. Vol. 2, De la Régence à nos jours (Dourdan: Éditions H. Vial, 1996), p. 31, 148-153, ill. The J. Paul Getty Museum Handbook of the Collections. 4th ed. (Los Angeles: J. Paul Getty Museum, 1997), p. 216. 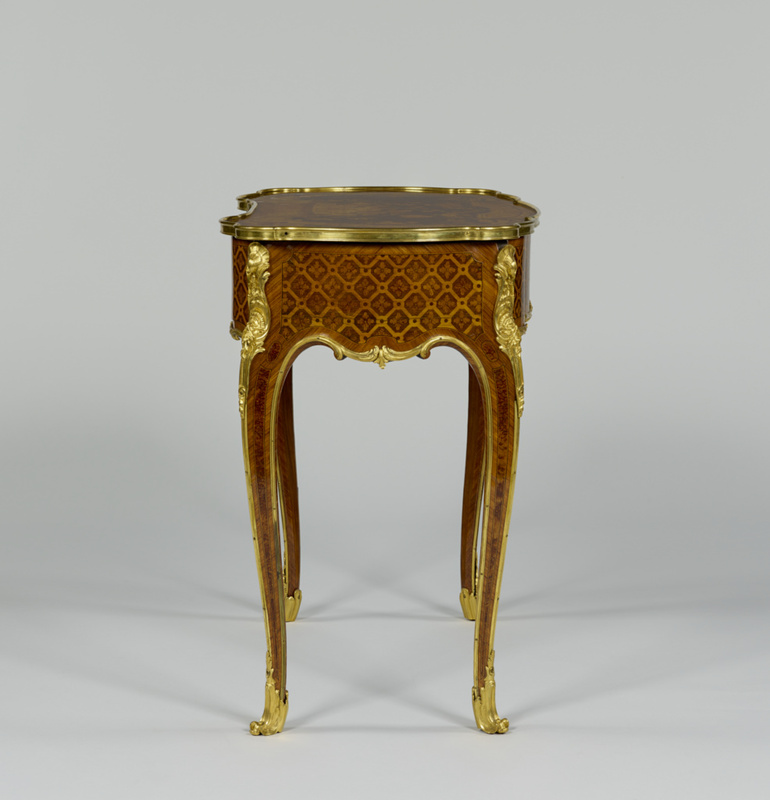 Masterpieces of the J. Paul Getty Museum: Decorative Arts (Los Angeles: J. Paul Getty Museum, 1997), p. 97, no. 75. Baumeister, Mechthild, et al. "Gebeizte Maserfurniere auf historischen Möbeln.” Arbeitshefte des Bayerischen Landesamtes für Denkmalpflege, Arbeitsheft 81 (1997), p. 256, fig. 11. Ramond, Pierre. Chefs d'oeuvre des marqueteurs. Vol. 3, Marqueteurs d'exception (Dourdan: Éditions H. Vial, 1999), p. 12-13, ill.
Ramond, Pierre. 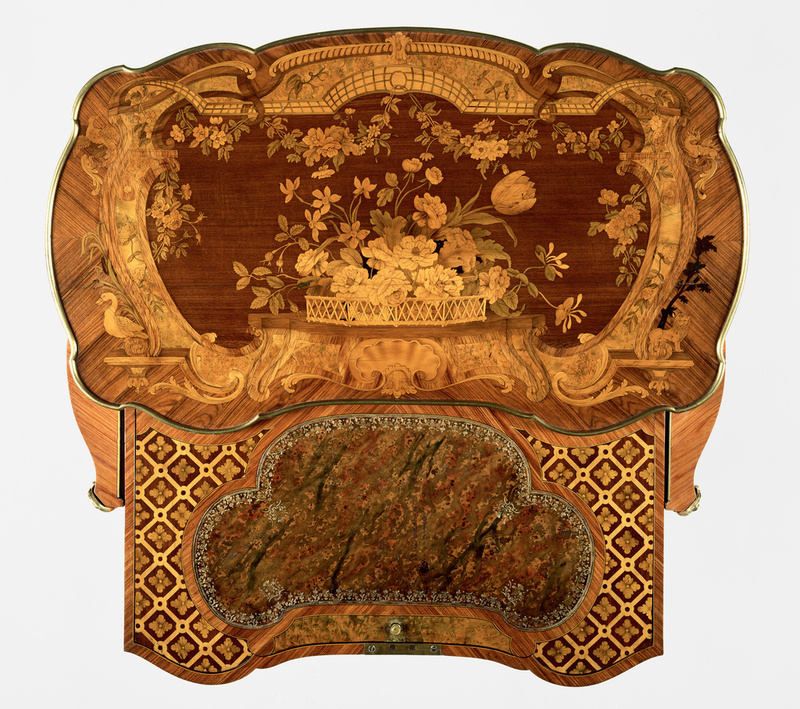 Masterpieces of Marquetry. Vol. 3, Outstanding Marqueters (Los Angeles: The J. Paul Getty Museum, 2000), p. 12-13, cover, ill.
Ramond, Pierre. 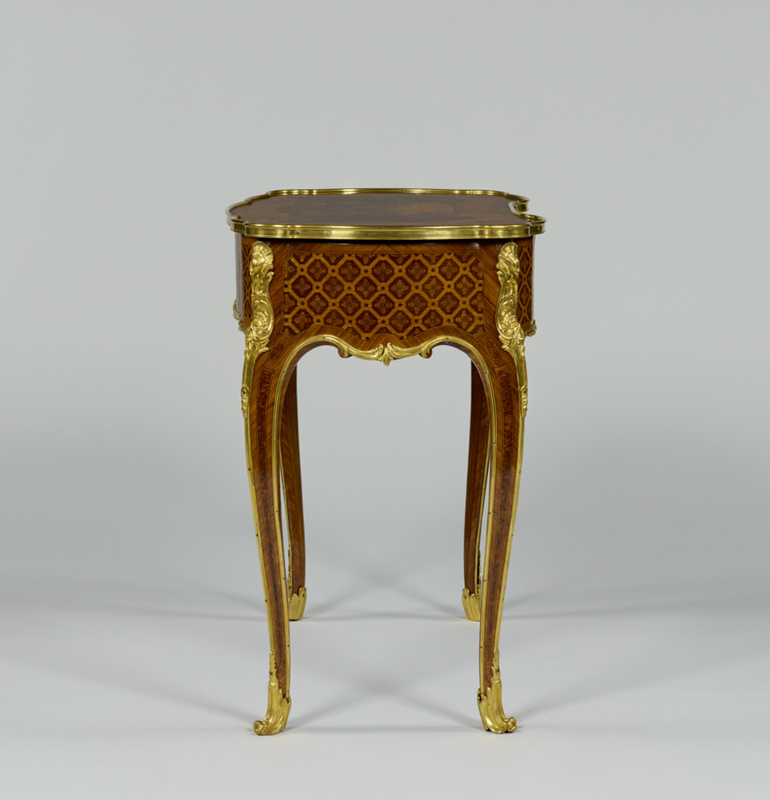 Masterpieces of Marquetry. Vol. 2, From the Régence to the Present Day (Los Angeles: J. Paul Getty Museum, 2000), p. 31, 148-153, ill. The J. Paul Getty Museum Handbook of the Collections. 6th ed. (Los Angeles: J. Paul Getty Museum, 2001), p. 216, ill.
Wilson, Gillian, and Catherine Hess. Summary Catalogue of European Decorative Arts in the J. Paul Getty Museum (Los Angeles: J. Paul Getty Museum, 2001), pp. 36-37, no. 64. Stratmann-Döhler, Rosemarie. Jean-François Oeben, 1721-1763 (Paris: Éditions de l’Amateur and Perrin & Fils, 2002), p. 96-97, ill, 182. The J. Paul Getty Museum Handbook of the Collections. 7th ed. (Los Angeles: J. Paul Getty Museum, 2007), p. 240, ill.
Kopf, Silas. 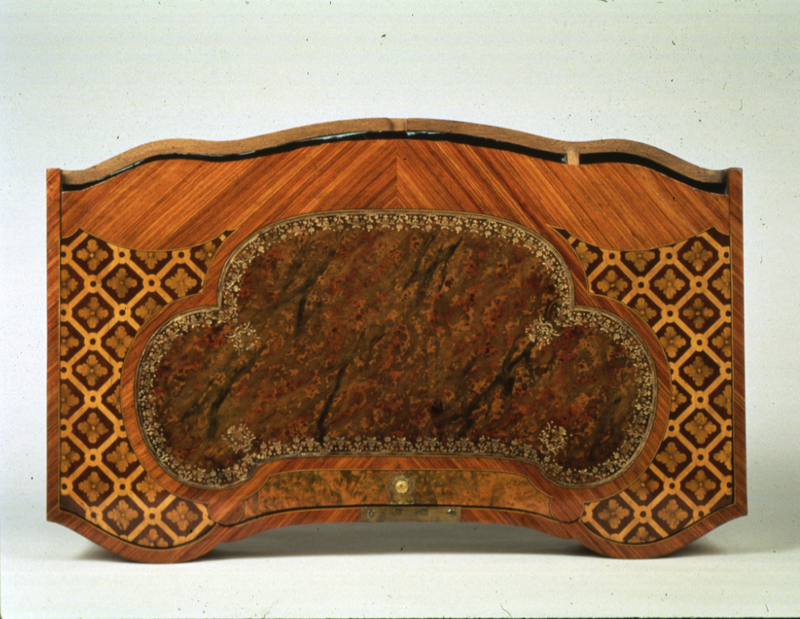 A Marquetry Odyssey: Historical Objects and Personal Work (Manchester, VT: Hudson Hills Press, 2008), p. 106-107, fig. 134. Baarsen, Reinier. Paris 1650-1900: Decorative Arts in the Rijksmuseum (New Haven: Yale University Press, with Rijksmuseum, 2013), pp. 177, 179. Durand, Jannic ed. et al. Decorative Furnishings and Objets d'Art in the Louvre (Paris: Musée du Louvre, 2014), p. 386. The J. Paul Getty Museum Handbook of the Collections. 8th ed. (Los Angeles: J. Paul Getty Museum, 2015), p. 288, back cover, ill.